We’ve partnered with Best Buy to share this awesome information! I love Samsung. My most recent television, bought just a few months ago, is a Samsung. Now I find out that Samsung is offering a new technology called SUHD. 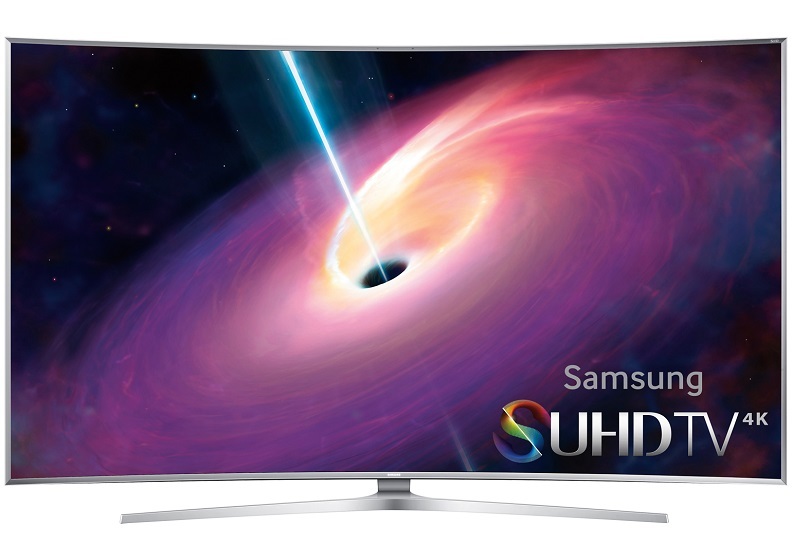 As far as I can tell, SUHD stands for “Samsung Ultra High Definition”, which sounds pretty good! I recently went down to the local Best Buy to see this marvel for myself. I can tell you that the picture is absolutely gorgeous – the television I was looking at was running a clip with roses and jewels and a beautiful model with adorable freckles. Every detail felt like I could reach out and touch it – the picture was that life-like. All this, and the in-store preview included an exclusive sneak peek of Jurassic World in Samsung Entertainment. Chris Pratt? CGI dinosaurs? I’m there! Exclusive sneak peek of Jurassic World in Samsung Entertainment Experience Shops inside Best Buy. You should be, too – get yourself down to your local Best Buy and check this marvel out for yourself, now through 6/13, in the Samsung Store section of the store. For more information, visit www.bestbuy.com/suhd and BestBuy.com/JurassicWorld – you’ll be glad you did! Also, if you love twitter parties, @BestBuy and Brand Ambassador @dodomesticdad will be hosting an #SUHDatBestBuy twitter party on Thursday June 9th at 7:00pm CST. Join the twitter party for a chance to receive Best Buy gift cards. RSVP at Days of a Domestic Dad. Please feel free to ReTweet this tweet so everyone can see how awesome the Samsung Ultra High Definition 4K TV is! Don't Mess With Us ~ Save the Undies! I really have to drive my Mom to Best Buy. She does need a new TV for her living room and this one sounds like a sure bet–if not then another Samsung may catch her eye. Samsung does make superior products. It really was a beautiful television. I loved the curved screen. This looks like a great TV. I will have to go to Best Buy and check it out. We have been talking about getting a new TV. We are looking for a new tv. Will check this one out! I am not shopping for televisions but when it’s time I will be so excited with all the new features. Ours is so old that I know I am missing out on a lot. Same here. Ours is ancient and tv’s have definitely come a long way since I bought mine. Samsung makes some killer products I must say. We have a few of their Television sets and the quality is fantastic. That looks AMAZING! I have all the tv’s I need but I love the technology. We are in the market for a new television. This looks nice! I love Samsung they make such great products. They are one of two of my fave brands. This TV looks great! This is an amazing looking TV. I love Samsung products. I have never been disappointed. I will have to go check it out in the store. The kids would be shocked if i bought one. The curved screen is really cool. If my husband sees this, he’ll definitely want it. 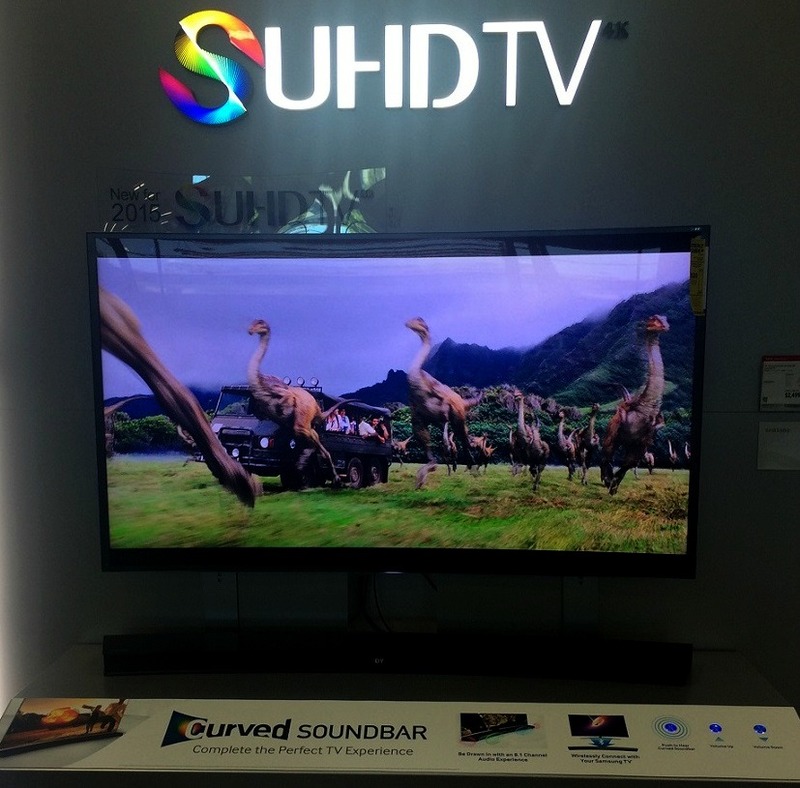 I want to get a curved TV. But the hubby won’t let us get a new one yet. We have a High Definition TV right now… but I can tell you, it is not as good as the Samsung Ultra High Definition 4K TV. Now my Hubs wants one too. We love our Samsung but this one would be a dream come true for my husband! I bet your family will love it! My husband is hinting a TV like that for Father’s day lol. MUST BE A LOT NICER THAN A REGULAR TV! These televisions are amazing. I can’t believe how beautiful the images and colors are on them. That television looks amazing. I would love to give it a try. Sounds like the Samsung is an incredible tv and will be checking it out further soon! Faster speed for my media is a bonus for me! This Samsung Ultra High Definition TV sounds amazing! I like Samsung TVs a lot and I think when we will purchase a new TV, then it will be this one. That would be an awesome TV to have at home, especially when it seems too hot or too wet to go outside. My kids would love playing their video games on it, too. This tv looks amazing! I have always really loved Samsung and their products! You always get the highest quality when you choose Samsung! A tv is a must in our home we have a tv that loojs like a older model of this one. Hubby and kids are xbox geeks and we splurge on a high def tv and it really does make a difference. This samsung tv would be a nice up grade. I saw this at Best Buy recently and was really impressed. I am having tv envy now! I want one of these. I know it will only be a matter of time before my husband convinces me to upgrade our TV to this new SUHD. Samsung just seems to be leading the way when it comes to technology. Have to stop in Best Buy one day and check out what’s available. I love Samsung and this is so my next television. The screen sounds like so awesome. I need to go see this tv, I keep hearing amazing things about it. This would be amazing to watch sports on! Samsung is a highly modern for all gadget, appliances etc, i love those product we built this entire world, hoping i got this in christmas,. how fantastic and had a HD now,. My parents just bought a new 60-something inch TV. The clarity is unbelievable! I’m not usually one for gadgets and the newest upgrades in technology…but I want one! I need to check these televisions out next time I am in Best Buy. They looks amazing. I also want to see the exclusive sneak peek of Jurassic World! This TV would look so great in my bedroom. Me and the hubby love having movie nights with popcorn and a great movie, so this would be great. Looks and sounds like a great TV. We just got our first smart TV, didn’t realize how big a difference these newer TV’s make!